Need to install a new CCTV camera? CCTV camera not working need to fix it? Flash Services provide the best quality CCTV cameras at the reasonable price in Ludhiana. We deal with all major brands of CCTV camera system so that our office/home/business is secure with us. If you want to get new CCTV camera installed and looking for a helping hand that can help you in CCTV camera installation then, Flash Services is a solution for all your problems. 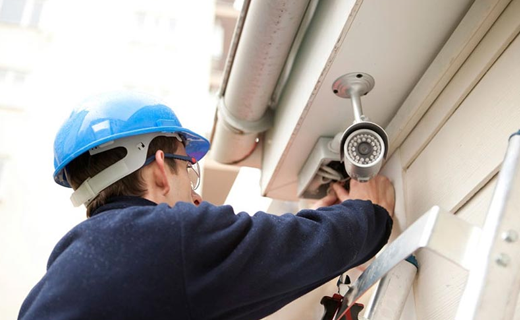 Flash Services is a leading service provider of CCTV installation and repair services in Ludhiana. The cameras are advanced and in trend to the most recent technological advancement. We have an independent team for research and development which offer the sole responsibility to provide safety and security to the people and things. We are also suppliers, dealers, distributors and sellers in Ludhiana which provides to both retailers, and other CCTV companies. We provide at low cost and cheap rate. The products made by our company passed through many tests and each and every product are made sure that it goes through tests such as from cameras working and angles to pixel clarity, to small wires in working condition etc. All these factors have made us reach the top-level. The challenging part for any company is to assist that top level and we have been successful in doing that. For price list do contact us and our executives will mail you the latest price list along with all models and description of the cameras.